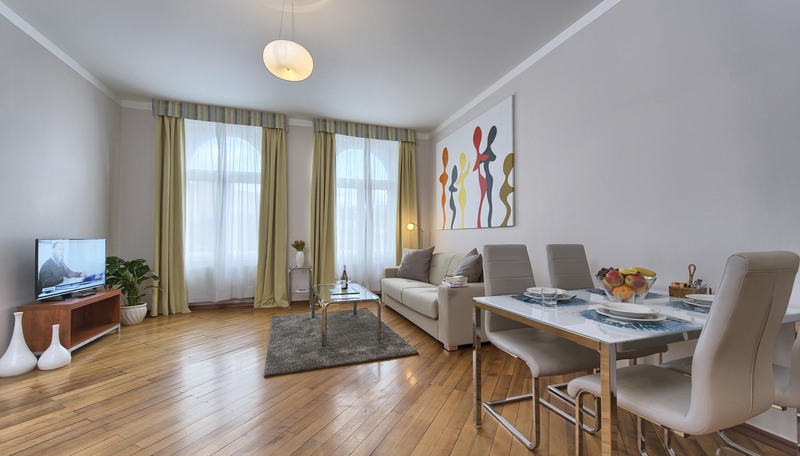 Our spacious one bedroom apartment is the perfect backdrop to any long or short stays in the city. 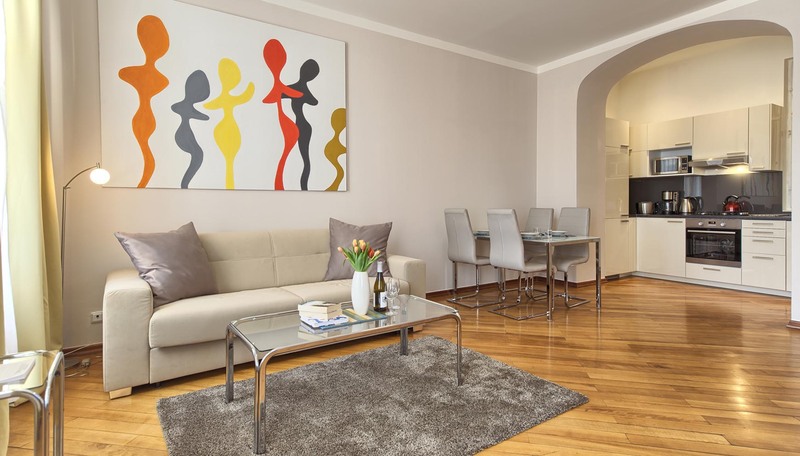 It is uniquely situated for those planning to enjoy an extended stay in Prague. 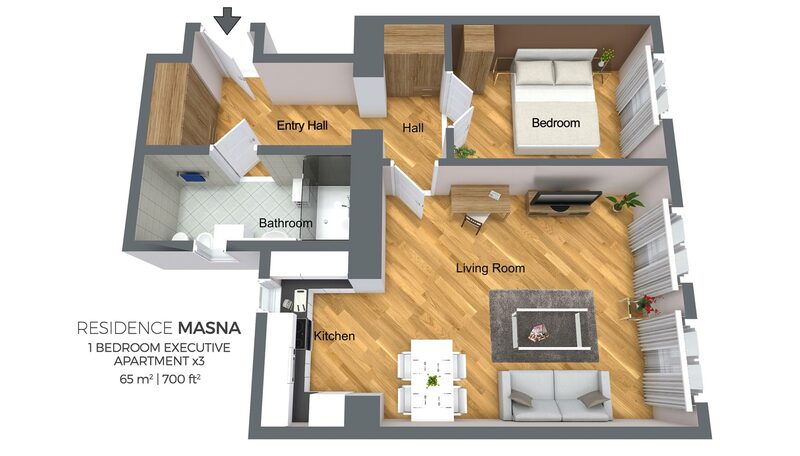 With more than 700 ft2 and lavishly designed furnishing it will make the perfect home-from-home for you. 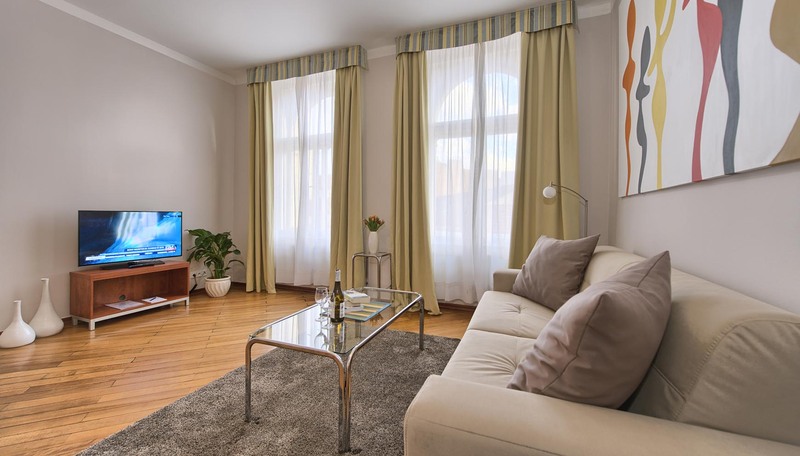 Very large and bright living room is the main room of the flat it offers all you need to relax after a long day. It features satellite flat-screen TV, comfortable sofa and also work desk designed with the business traveler in mind. The living room is directly connected to a large fully equipped kitchenette which gives you the freedom to eat in if you prefer. 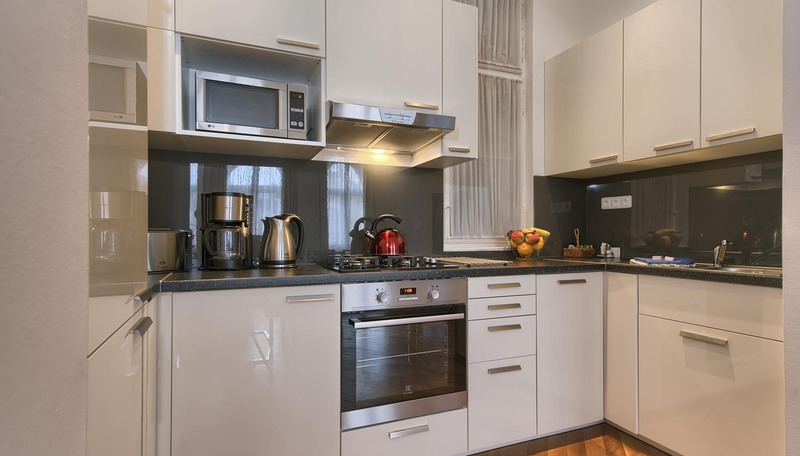 You will also benefit from a dining table situated just next to the kitchenette. The cozy bedroom will guarantee a perfect sleep on a king-sized bed for two and it also provides plenty of storage space. 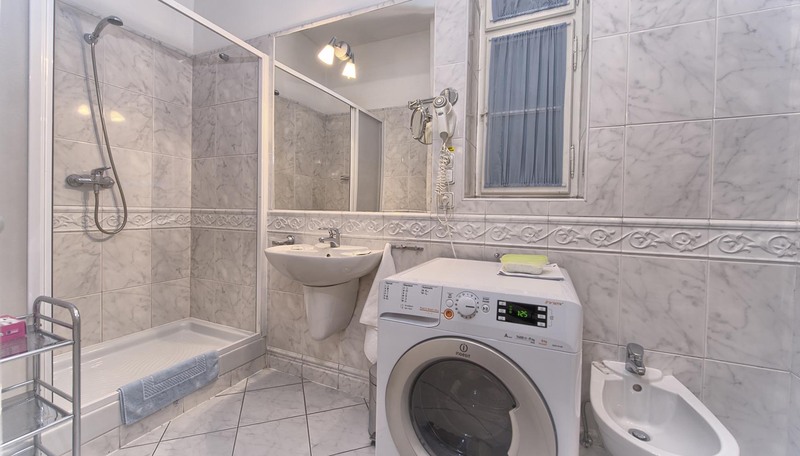 The apartment can accommodate another two people thanks to extra bedding. 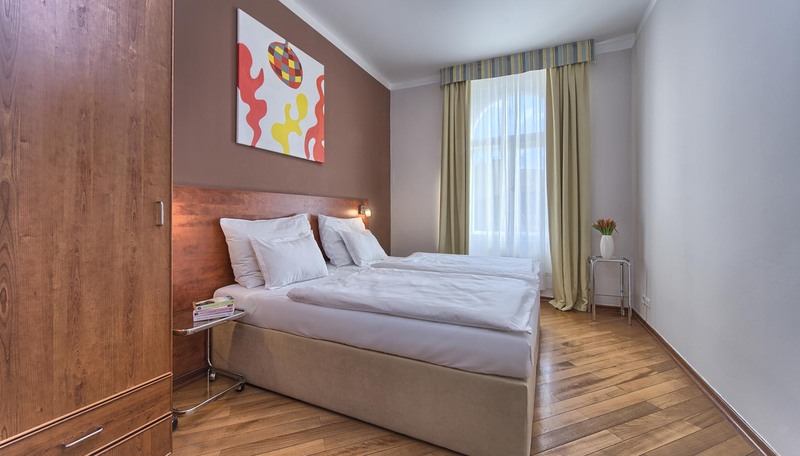 We will also gladly prepare a baby cot for your youngest ones (children up to 12 on extra bed stay for 10 EUR, up to 3 stay for free). 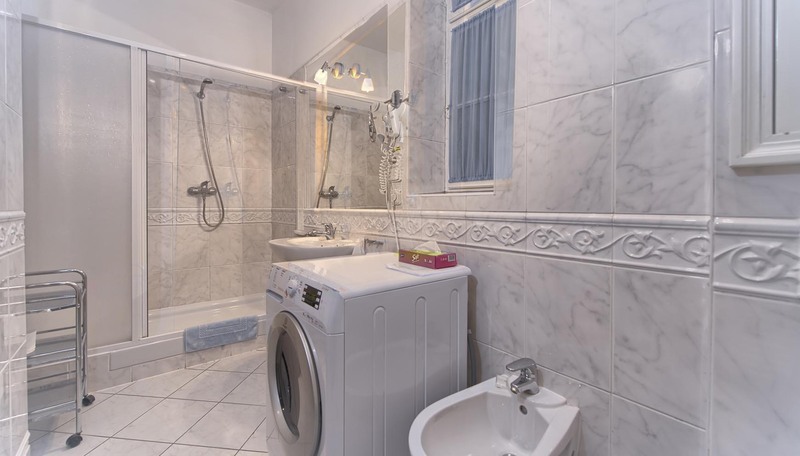 The bathroom equipped with a large shower and a full size washing machine is nice and modern. 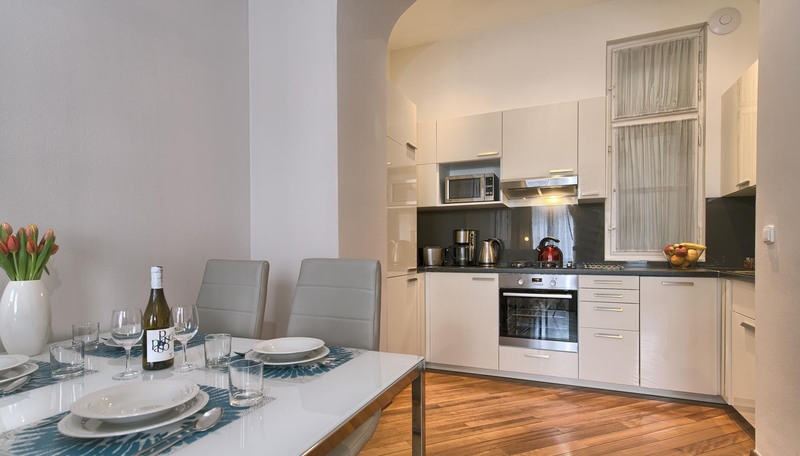 This apartment is conveniently located in a very center of Prague where you will never be short of things to do. 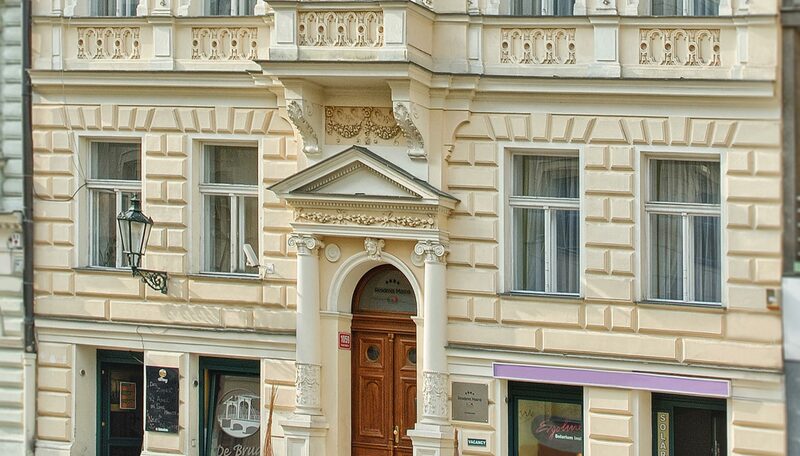 The Masna street is one of the oldest streets in Prague and together with surroundings offers plenty of first-class restaurants, bars and cafés. 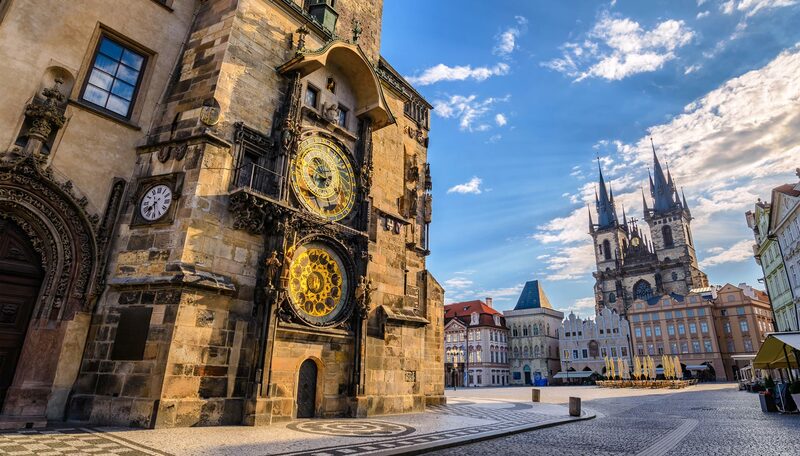 All major sights can be easily reached of foot – be it the Old Town Square with astronomical clock, the Charles Bridge or Republic Square with the Powder Tower and Municipal House. Our 24/7 management office is always ready to assist you with anything you need.